DO YOU NEED A QUICK GETAWAY? 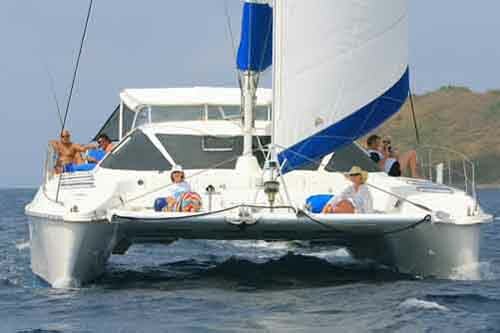 The catamaran MAROLANGA still has one double cabin and the forward single cabin available for their special Cabin Charter Week, January 8-15, 2011. This is a great opportunity for a couple or a single person to charter a catamaran. 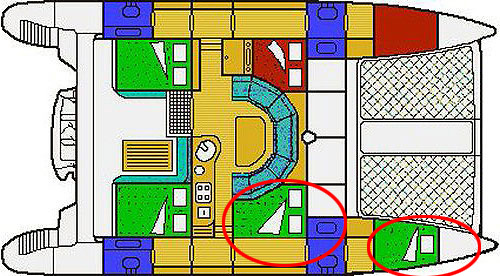 The available cabins are circled in red (the other two guest cabins have been booked). The starboard forward double cabin has an ensuite head/shower that will be shared with the single forward cabin if it is booked as well. Entrance to the forward cabin is either from the hatch in the deck or, there's the possibility of walking through the forward head and into the single cabin. This would be an excellent situation for a party of 3, but works well otherwise, too! 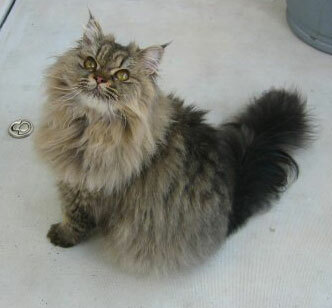 Marolanga is a 43-foot Catana catamaran, owned and operated by Gus & Marcella, along with ship's cat, Sasha, a beautiful Persian. 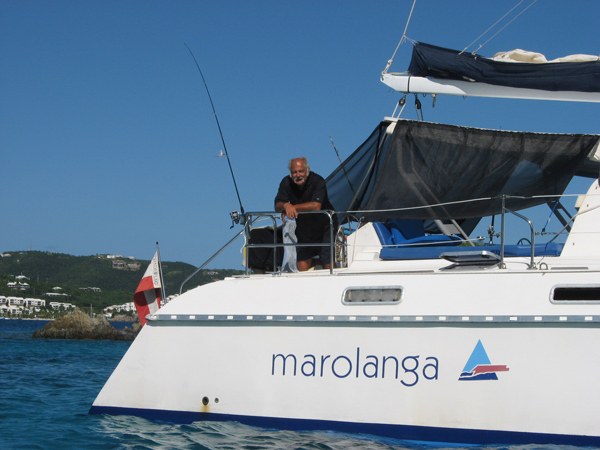 Marolanga is fully air conditioned and accommodates up to 6 guests in three cabins, each with ensuite head/shower. 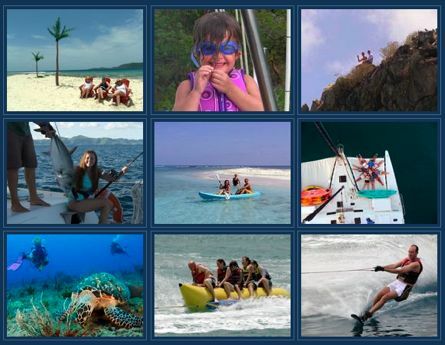 Marolanga has a good selection of "water toys" such as kneeboard, wakeboard, tube, kayaks; plus they love having families aboard and have toys for children. Read our previous posts about Marolanga. Life on board seems busier than ever, cockpits full of old friends and new, lots of boat projects, blue water and warm breezes. We caught our first lionfish, they are invading the Caribbean although the Virgin Islands seem lucky and we have very few so far. 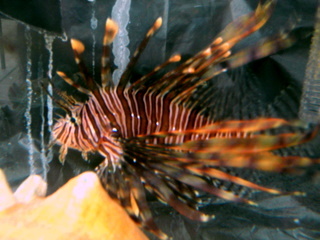 Our lionfish is lucky, too... we were going to send it to lionfish heaven but it went to live in a government aquarium for display instead! During our Thanksgiving charter we saw a moonbow, it's like a faint rainbow in the moonlight. They seem much more rare than seeing a green flash at sunset. 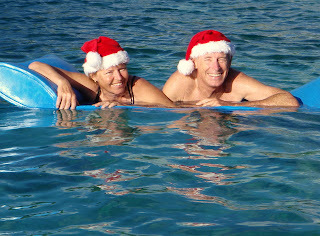 We received an email this morning from the charter catamaran Solstice in the Bahamas. They are looking forward to the lunar eclipse. This will be a very exciting Winter Solstice onboard the Catamaran Solstice. Early that morning we'll be witness to a total lunar eclipse! This hasn't happened on the day of the Solstice in over 400 years. 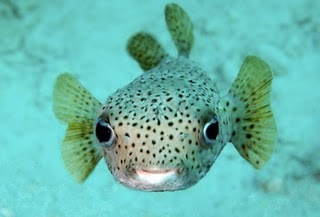 Not only will it mark the beginning of our 7th year exploring the Exumas, but a true astronomical delight... I expect we'll be anchored at Hawksbill or further south ?! We've had a brilliant year that sailed by way too quickly. Old guests, new guests, and old new guests came aboard for some truly memorable adventures. Thanks to you we'll be around for another year. Good times, good laughs, and good memories is what we're all about. We've found new remote beaches, dive sites, and trails that'll keep us coming back for more. According to news reports, the lunar eclipse will begin tonight (Tuesday morning) at 1:33 a.m. EST (it will be at 2:33 a.m. AST for us folks in the islands) and totality begins at 2:41 a.m. EST and lasts for 72 minutes. They say that with the full moon high in the winter sky, the lunar eclipse will be visible from four continents, with the best views from North America and Central America if weather permits. I hope to witness this event because the next time it falls on the Winter Solstice will be on December 21, 2094!!! 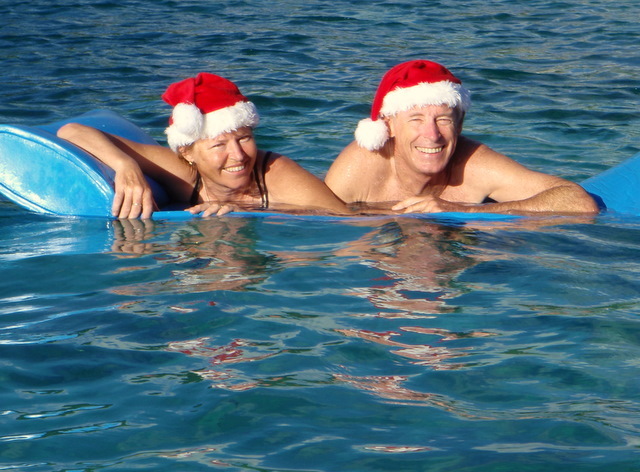 The charter catamaran SOLSTICE is a 47-foot Lagoon, owned and operated by Liz & Cliff who are entering their 7th season of full-time chartering in the Bahamas. Solstice is fully air conditioned and accommodates up to 6 guests in 3 double cabins with ensuite head/shower. 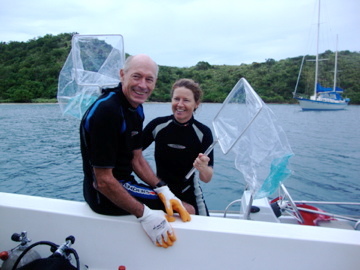 Liz & Cliff enjoy family charters and you can tell that kids enjoy them, too! See our previous post on Solstice for more information. The charter yacht DIAMOND GIRL II, a 62-foot Sunreef catamaran, has lowered their rate for the 2010-11 winter season... How about that for a Christmas present?!! 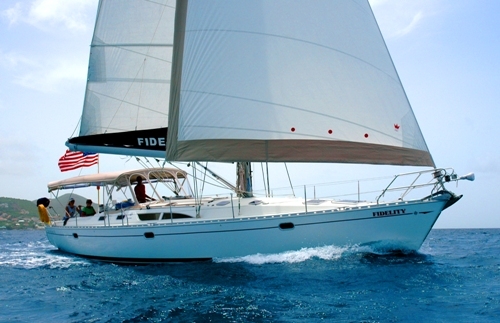 Diamond Girl II is a 62-foot Sunreef catamaran with a crew of two, available for charters in the Bahamas. Diamond Girl is air conditioned and can accommodate up to 6 guests in 3 cabins (2 Queen, 1 Double), each with ensuite head/shower. 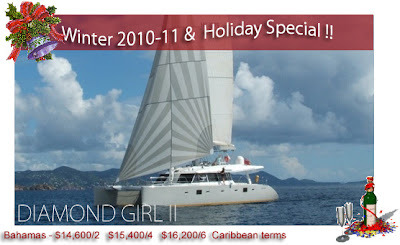 Diamond Girl has a 19-foot dinghy with 50HP motor, tube, snorkel gear, fishing equipment, TV/DVD, etc. Diamond Girl is a NON-SMOKING charter yacht. 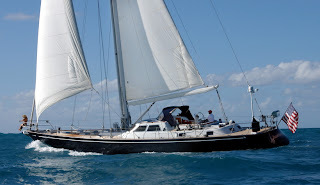 We would like to welcome ISABEL, a 75-foot Ted Fontaine-designed Friendship NZ sloop, into the yacht charter fleet. 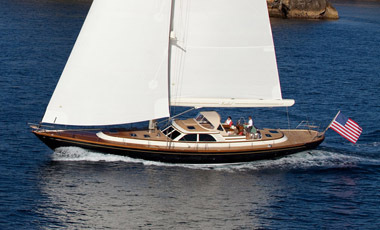 ISABEL is a superbly elegant new (2010) classic sailing yacht with an immaculate Edwardian-style, glossy varnished teak interior, two equal-sized staterooms, a luxurious main salon, pilothouse with panoramic views and large comfortable cockpit . The master and VIP staterooms are identical in size and each offer luxurious linens and fabrics, an ensuite bathroom with separate shower, ample storage and full entertainment system. 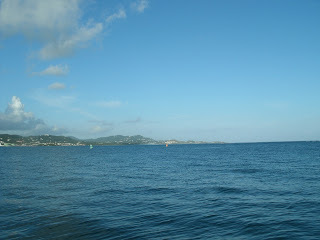 ISABEL is available in the Caribbean this winter and in New England for the summer of 2011. 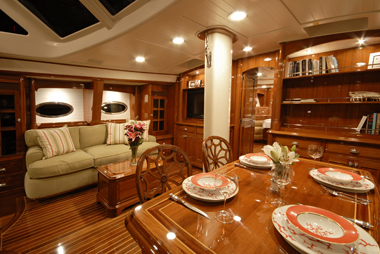 She is fully air conditioned and accommodates up to 4 guests with a crew of two. 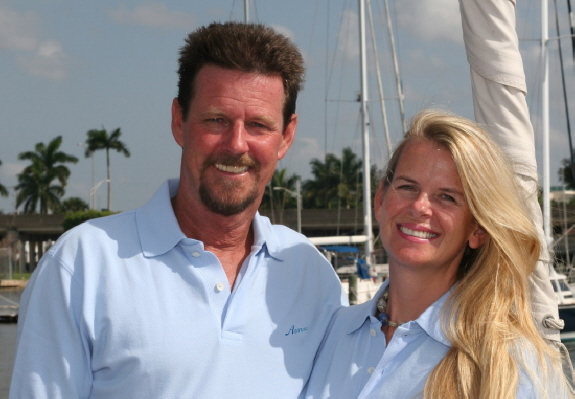 Captain Michael Clayton & Chef Ginnie Hess look forward to welcoming you on board soon! The charter yacht Fortuna, an 82-foot sailboat which accommodates up to 10 guests, is offering a 20% discount for Caribbean winter 2010/11 bookings made before January 30, 2011. This includes the upcoming holiday weeks, too! 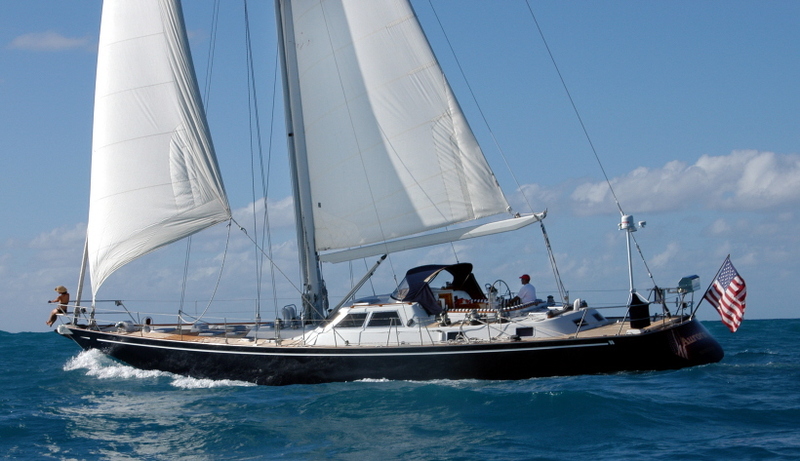 Fortuna is a superb 82-foot Maxi ketch, completely rebuilt for luxury charter while complimenting her thoroughbred racing pedigree. 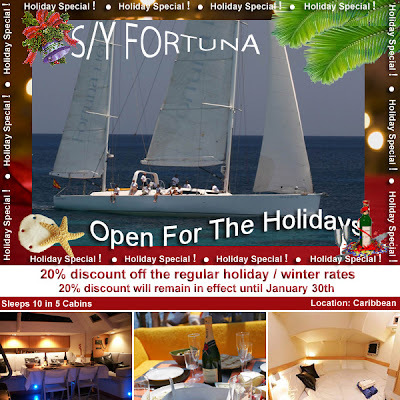 Captain / Owner Antonio Flores is a true sailor who proudly claims, "I leave the anchorage with the sails up and arrive back to the anchorage with the sails up..." and adds, "On board FORTUNA we combine the Maxi sailing experience with lots of fun!" Inquire for Christmas & New Years, and racing events. Fortuna is fully air conditioned and accommodates up to 10 guests in 5 cabins (4 doubles and one with twin upper/lower bunks). Crew of three. The charter yacht AURORA, a 67-foot Ron Holland-designed sloop, is leaving the British Virgin Islands and will be in St. Barths through the holidays. 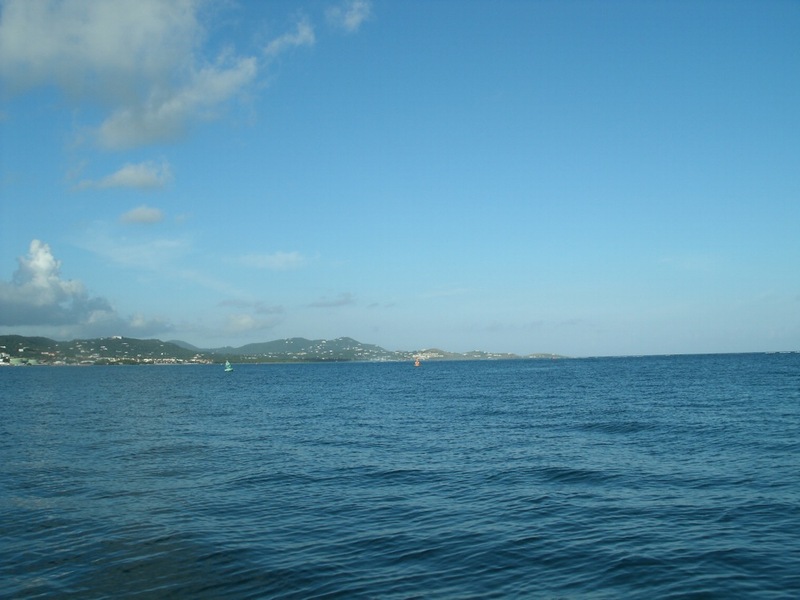 After dropping off their charter guests in St. Maarten, they are heading south to the Grenadines. 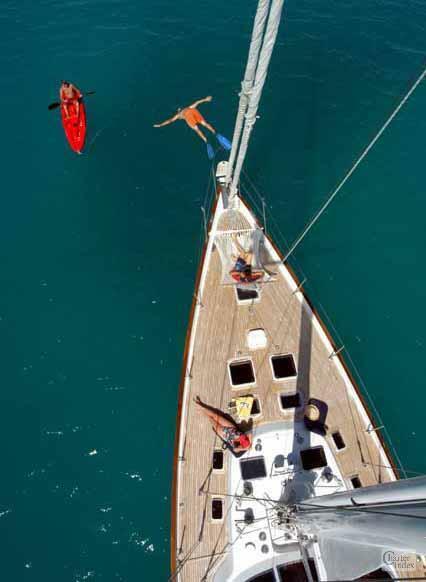 We have a few choice weeks still available in January and February, and would love to welcome your clients aboard. Many Aurora guests have been delighted by our romantic 7-day Grenadines cruise, which offers incomparable scenery, snorkling, gourmet dining, a variety of sailing adventures and spectacular Caribbean weather. 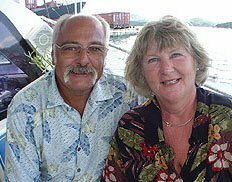 Rich & Sam Malone get rave reviews from Aurora guests for their extraordinary knowledge, gourmet cooking and delightful personalities. Thank you for an extraordinary week. Everything exceeded our expectations from the incredible food to the sailing and the snorkeling, and just simply being able to relax with our friends. Wow! Wow! Wow! We set out for an adventure of fun, sun and food, and that we got! As usual, we pushed everything to its limit and you guys took everything we threw at you. Thank you for the laughs. Everything was perfect! Snorkeling in the caves, walking Sandy Cay, the Indians, the Baths and the bubbly pools. There isn't one thing we would have changed. Thank you so much for taking us water skiing and tubing, it was the time of our lives. Click to view Aurora's sample itinerary: The Grenadines: The "Jewels" of the Caribbean - which they will customize to suit your desires. 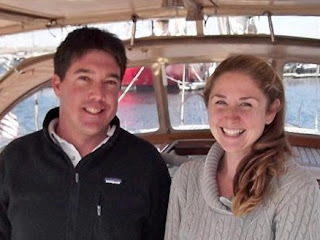 The sailing vessel AURORA is a 67-foot Ron Holland-designed sloop with a crew of two, Rich & Sam. When friends asked Rich to legally marry them on board, he became an ordained minister in the Universal Life Church, so if you’re considering a combination wedding and honeymoon, look no further than Aurora and Rich. Aurora is fully air conditioned and accommodates up to 5 guests in two cabins, each with color TV/DVD, and ensuite heads. The full-width master cabin, aft, has a walkaround Queen bed, while the other guest cabin has a large double bed with a single berth above. Aurora has a 13-foot dinghy with 60HP motor, waterskis, tube, wakeboard, 2-person kayak, snorkel equipment, fishing gear, Sony Playstation, underwater still camera, etc. Owen & Mary have recently sold Fidelity, a 46-foot Jeanneau sloop, but they will remain aboard as crew and give the same excellent service as in the past. "This month we have purchased and installed equipment that allows us to become a local hot spot with full-time WiFi for our guests at no additional cost. Thus, they will be able to utilize all their wireless devices for their business needs and personal enjoyment: computers, iPods, Wireless telephones, Kindles and Nooks…any device that uses wireless communications." 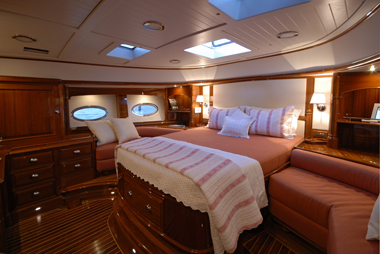 Fidelity accommodates up to 4 guests in 2 cabins, each with queen berths and ensuite head/shower. Kerry, owner-operator of PROMENADE, the 65-foot trimaran, has decided to set up a new rate schedule for smaller charter groups. Promenade is a 65-foot trimaran that accommodates up to 10 guests in 5 cabins. The two forward cabins have Queen berths and ensuite head/shower, while the 3 aft cabins (one Queen, and two cabins that can either be configured as Twins or a King) share 2 heads with showers. Here's are recipe from Caro, the chef aboard the catamaran Toucan Play. Using a food processor, pulse onion until finely chopped. Set aside. Place jalapeno in food processor and pulse until finely chopped. Add celery and pulse until finely chopped. Set aside. Place carrots in food processor and pulse until finely chopped. Heat 1 tablespoon of the olive oil in a medium stockpot over medium heat. Add onion and sauté, stirring until translucent, about 6 minutes. Add jalapeno, celery, and carrots and sauté for 5 minutes. Add the pumpkin purée, chicken stock, bay leaf, curry, turmeric, cayenne, 1 teaspoon of the salt, pepper to taste, and bring to a boil. Cook about 15‐20 minutes. Adjust seasonings to taste. In a small sauté pan, heat remaining olive oil over medium‐high heat. Add pumpkin seeds and 1/2 teaspoon salt and cook for about 30 seconds, shaking pan constantly to prevent burning, until all the seeds have popped. Serve in individual bowls or use hollowed out mini pumpkins for fun. Stir in 1 tablespoon of crème frâiche, if desired. Finally garnish with roasted pumpkin seeds and parsley. This soup is a commonly found throughout the BVI’s and a wonderful enhancement to any dinner. American Airlines Sale: Come Sailing!